Everyone feels stressed at one time or another. But what does it mean to feel stressed? Is stress be good for you? Or, is it bad for you? According to the Mayo Clinic, stress is your body’s response to the demands of life. 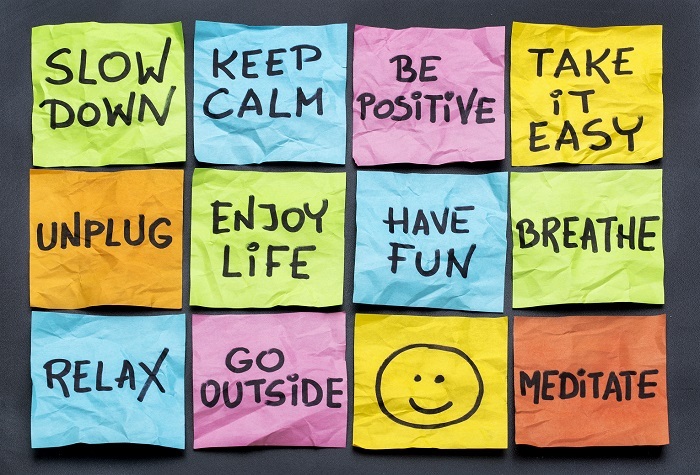 A small amount of stress can be good, motivating you to finish your tasks. But, ongoing daily challenges daily, such as sitting in traffic, work deadlines, bills, and scheduling demands can push you beyond your ability to cope. When your brain reaches that limit, it signals your body to release a burst of hormones that increase your heart rate and your blood pressure. This response fuels you to deal with the threat (stress). Once the threat is gone, your body should return to a normal, relaxed state. But, our non-stop wired lives can mean that some people’s alarm systems rarely shut off leading to high stress levels. Stress management is important to reset your alarm system. Without it, your body might always be on high alert. Over time, chronic stress can lead to serious health problems. First, start by figuring out what is causing your stress. What makes you feel angry, worried or upset? We know that job pressures, relationship problems or financial worries, can cause undue stress. But daily hassles, such as waiting in a long line, being late to a family event or meeting, also contribute to your stress level. Once you figure out what is causing your stress, think about ways to deal with it. You can’t control everything but trying to figure out what you can control is a good place to start. If stress keeps you up at night, remove the TV and computer from your bedroom. Let your mind wind down before you go to bed. If you have a lot going on in your life – a demanding project at work or planning a big party at home – take some time to focus on yourself. Just a half hour of down time can help you reduce your stress level. Also, you don’t have to figure out how to handle stress on your own. Get help from family and friends. Having someone listen to your concerns can makes a big difference. Or, if you need help around the house, ask for help. You don’t have to do everything alone. Last but not least, a healthy lifestyle will help you manage stress. Eat a healthy diet, exercise regularly and get enough sleep. Your stress won’t go away but paying attention to what causes it and practicing ways to relax, can help keep the bad effects of stress at bay.